Need an ABN quickly. We can do it for you. Doing your ABN can be tricky, leave it to an expert like us. We guide you to choosing the right accounting entity for your circumstance, whether that is being a Sole trader, Partnership, Trust or Company. We also help you understand the tax and business implications of each. We explain how GST will affect you. Ensuring you are ready for how business taxes will affect you and make meeting your tax obligations simple and predictable. We can get into good habits early by having your business performance easy to track so you always know how you are doing and tax provisions are made easier. We can even help you obtain a business name. Take on board our industry experience and review of your business model to help you make more money in the way you run your business. Let us guide you on your potential profits, sales expectations, managing cashflow, product/service development. Have you fully tested and researched your business idea in the market. If not we guide you on how. Let us refer you to trusted business services you may need. We can also take you through our comprehensive new business checklist. 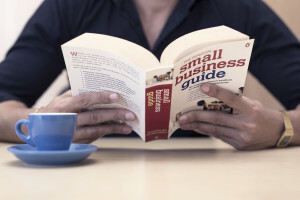 Guide you with small business marketing and strategy. You will not find many accounting firms who genuinely understand the importance of this and can add value to your business in this area like we do. Thinking of employing? We can guide you to everything you need to know. Need help paying employees. We can set that up too. Encourage you to grow your business income and personal wealth investment. Advise you on how to protect your assets when in business. Answer any other question you may have particular to your circumstance or new business advice. We know you may have many. One of the worst things to do in business in Australia is… get behind on your tax or Bas returns. We make it simple for you to have the framework to be able to meet your tax obligations. One of the best things to do in business is…it is good to know how your profit is tracking this year and how much tax to be provisioning for your end of year tax bill. You would not watch a game of sport and not know the score right? Your business is too valuable to not have this information easily at hand. We help you have an efficient scoreboard for your business. Giving you the information you need to grow in the critical early stages. Meet us to see if we are the right partner for you to grow your new business start up, minimise your tax and make your accounting simple and economical. Your confidentiality is assured. For New Business Start Up send us this info now and get started here.